A special meeting to celebrate this occasion took place in Stockholm during a weekend in March and gathered members from across the country (and guests from Norway). 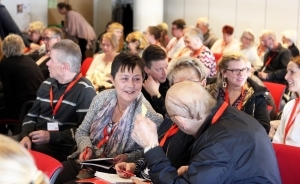 The participants got to experience a journey through time from the birth of PIO back in 1978 until today with a look into what the future may offer regarding treatment. The programme stretched over three intense interesting days where lectures were mixed with personal testimonies from members in PIO. 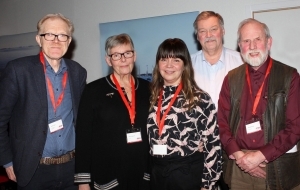 The list of prominent guest speakers was quite impressive: Prof Anders Fasth, MD, PhD, Prof Lennart Hammarström, MD, PhD, Prof Janne Björkander, MD, PhD, Senior Consultant Nicholas Brodszki, MD, PhD, Associate Prof Ann Gardulf, RN, PhD, Specialist Nurse Susanne Hansen, RN, Senior Consultants Anna-Carin Norlin, MD, Phd and Karin Berger, researcher. 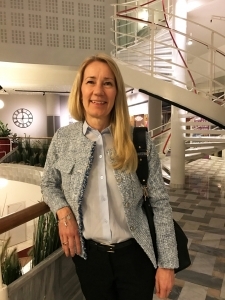 PIO’s founder Maj-Lis Hellström was of course also present and, during the anniversary dinner, she and four other key persons received a special thank you and were honoured for their contribution to PIO for many years. The audience learnt more about genetic testing, newborn screening, gene therapy, the development of IG-therapy and bone marrow transplantation over the years, what problems primary immunodeficiencies can cause and why and how the disease affects the daily life. There was also an interesting lecture about the impact that nutrition and the intestinal flora have on the immune defence. Camilla Ottosson, a PIO member, started the session with an instructive presentation about macro and micronutrients and the importance of upholding a good nutritional status. She also provided deeper insights into the vitamins and minerals that are important for a strong immune defence. Three members shared their experiences from living with PID. It was sometimes an emotional experience to hear about the difficulties they have had to face but also inspiring to learn how they keep fighting to overcome the obstacles they meet in their daily life due to the immunodeficiency. The social program for the meeting was indeed appreciated. Together we visited the ABBA-museum and on the way home some of us were happily humming the song “Mamma Mia”.